The Classic Biplane has two removable people, wheels that turn, and propeller to spin. Measuring a.. The Classic Helicopter has two rotor blades that spin and 2 removable people. Measuring approximatel..
Our Mites are sturdy little vehicles perfectly sized for toddlers. They make great toys for car trip..
Our Natural Fire Truck Scoot is a simple, durable wooden vehicle great for toddlers and sized perfec..
Our Natural Hybrid Car is a simple, durable wooden vehicle great for toddlers and sized perfectly fo..
Our Natural Racer #2 Scoot is a simple, durable wooden vehicle great for toddlers and sized perfectl..
Our Natural Recycling Truck Scoot is a simple, durable wooden vehicle great for toddlers and sized p..
Our holiday train set makes a great holiday centerpiece! The 17-piece set includes 17" circle track .. The Push N Pull Bunny measures approximately 7-1/2" long by 4-3/4" high by 2-3/4" wide. Crafted from.. The Push N Pull Elephant measures approximately 6" long by 6" high by 2-3/4" wide. Crafted from loca.. 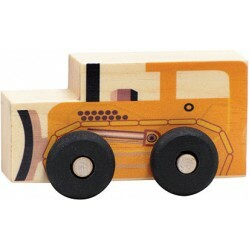 The Push N Pull Truck measures approximately 7-1/2" long by 4-3/4" high by 2-3/4" wide. Crafted from..
Our Ambulance Scoot is a simple, durable wooden vehicle great for toddlers and sized perfectly for p..
Our bug scoot is a simple, durable wooden vehicle great for toddlers and sized perfectly for playmat..
Our bulldozer scoot is a simple, durable wooden vehicle great for toddlers and sized perfectly for p..
Scoots are simple, durable wooden vehicles great for toddlers and sized perfectly for playmats. Craf..